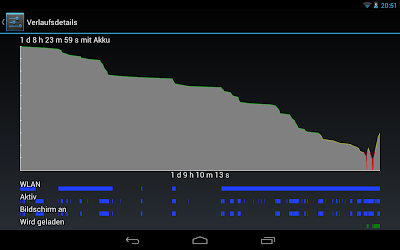 My Nexus 7 shuts down at about 10 % - 20 % battery. It should however shut down at approx. 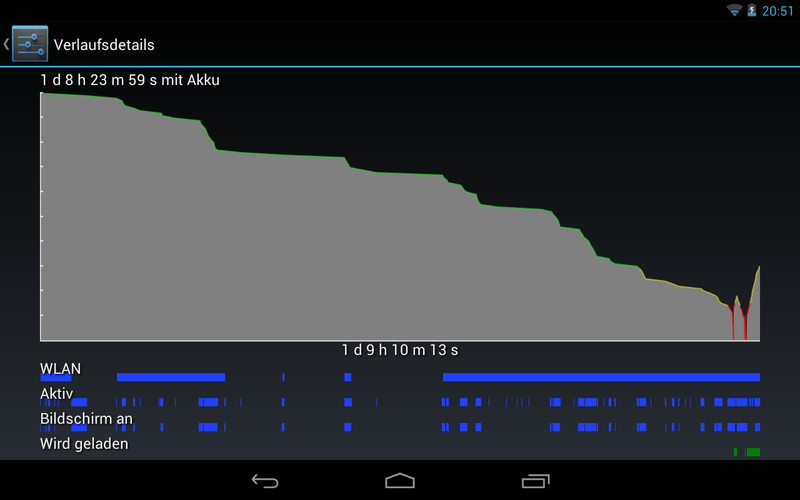 1-3 % at least, my Galaxy Nexus even goes down to 1 %. Initially I fully charged it. On the image above, you can see that it drops to 0 %, dying suddenly. Moreover you have to plug it in and press the power button at least 20-30 seconds to boot it up again. As you can see, I tried again, however it died again. If it doesn't help, you will have to request a replacement. Currently my device works fine. Read on... In my correspondence with ASUS, I ask how to charge the battery correctly.